Welcome to my Wix pricing review. Today, we’ll be rolling up our sleeves and digging around inside Wix’s premium plans to help you decide which is the best fit for your business or project. We’ll also be taking a look at any additional costs that may crop up that aren’t included as standard so you don’t end up with any nasty surprises! If you’d like to know what I think about Wix in general, you can read my full review here. 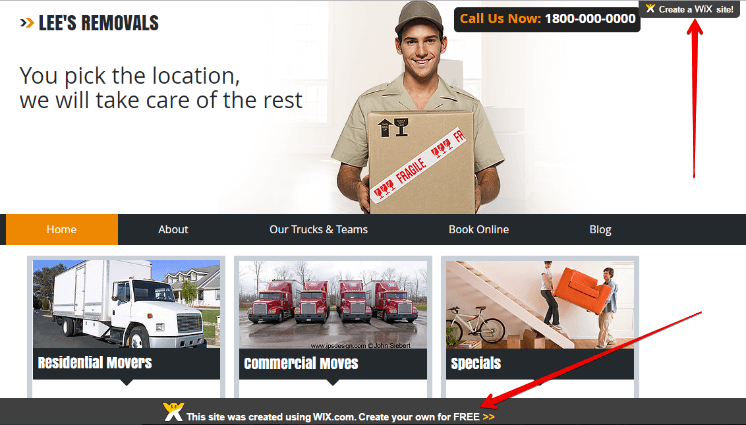 Wait, Does Wix Really Offer a Free Website? Final Thoughts – Which Plan is Right For You? Note: Prices below are for a 1-year plan & billed upfront. Monthly plans are also available but cost slightly more. All prices shown below are USD. Ideal for personal and hobby sites, you’ll have ads on your site. Best for portfolios & small businesses who don’t intend to sell online. No Ads. Great for those who need more space, think photography and image heavy sites. Best for people who want to start selling products, services & accepting payments online. Yep, they certainly do and it’s a great way to try out their services without any financial commitments or time constraints. Not having to worry about the “techie” stuff such as hosting as Wix take care of it for you. Access to their library of over 500 modern design templates to give you a head start when creating your site. The option of using Wix ADI which allows you to get a customized site by answering a series of questions about your business. Access to the Wix App Market where you’ll find plenty of add-ons to add functionality to your site (additional charges may apply). However, if you’re planning to use Wix for your business website, there are a few things that need to be taken into account with the free plan. Secondly, you’ll get a free domain name (web address) that’ll look something like username.wixsite.com/websitename which doesn’t look very professional and will be hard for people to remember. You can only use a domain name that you own or purchase with a premium plan. Finally, without your own domain name, you also can’t get a personalized business email address such as contact@yourbusinesswebsite.com and so you’ll probably be forced to use a free gmail address or similar. Wix’s free plan is ideal for personal and hobby websites as well as testing out the platform before deciding whether to commit. If you feel this plan is right for you then you can create your free account here. In this section, we’ll be taking a more in-depth look at the Website plans that are ideal for all types of sites that do not require the ability to sell products/accept payments online. If you need this feature, feel free to skip to the next section. Note: All 1, 2, and 3-year plans will be billed upfront for the whole period at the checkout. Recommended if; You want to connect your own domain name which you already own and don’t care about having ads displayed on your site. Personally, I’d skip this plan. This is Wix’s most basic plan and to be honest, it doesn’t really have a lot going for it other than the fact it’s cheap! 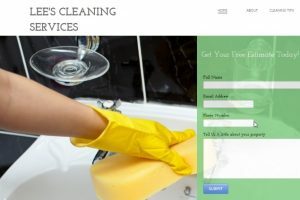 All it allows you to do is to connect your own domain name (web address) to your site. This could be one which you purchase or even one that you already own. The real kicker here is though, even though you’re paying for your website, with this plan you’ll still have to put up with the ads being displayed on your website. Recommended for; Small business, portfolios, blogs, wedding and informational websites. The first thing to note about this plan is it allows you to remove those pesky ads which will automatically add a more professional look and feel to your website. If you decide to go with a 1 or 2-year plan (which will be billed upfront), Wix will throw in a custom domain name of your choosing free for the first year which will save you around $15. Think of it as how much “space” you’re allowed on your website to upload images and other content as well as how many visitors you’ll have room for. To be completely honest, I haven’t got a clue how much bandwidth or storage space I use on this site but what I do know is, if I run out, I’ll be notified and I can simply upgrade my plan. The same will be true for your Wix site so rest assured you’ll have more than enough to get you started which makes it the perfect plan to begin with in my humble opinion. Why pay more than you need to right? Recommended for; Photography and other image-heavy sites. Also for people expecting a lot of visitors right off the bat. Wix highlights the Unlimited plan as being their most popular but I don’t think you necessarily need to jump on the bandwagon if this is your first website. You see, the main benefit to this plan is that it offers you unlimited bandwidth and a lot more storage space (10GB) which you may need if you’re creating a decent sized photography or image based website. $75 worth of advertising credits to be used with Google. Form Builder App which allows you to collect leads and create customizable contact forms but be aware, you can still add a basic contact form in any of the previous plans. Site Booster App which helps you add info to your site such as opening hours and contact details and helps you list your site with Google and Bing etc (I haven’t personally tested this app). Recommended if; You need extra storage space, you’re going to focus heavily on list building or you value the opinion of a Wix expert that can point out where your site can be improved. The VIP plan has all of the features of previous plans including unlimited bandwidth so what does it offer that the others don’t? First off, you’ll have more storage space to play around with which will allow you to upload more content such as images (20GB). Next, if you’re building an email list, you can create up to 10 newsletter campaigns and send out up to 60,000 emails per month to your subscribers. Finally, when your website’s up and running, you can have a professional member of the Wix team review your website. I haven’t tested this feature myself, but I imagine it would be very beneficial to have a professional pair of eyes advise you on what’s good and what can be improved about your site. The following plans are what you’ll need if you wish to sell products, services, and accept payments online through your shiny new website. Recommended for small online stores and anyone new to selling products and services online. This may be the cheapest of the eCommerce plans but it still offers quite a bit of bang for your buck. You’ll get SSL security for your website which is essential when doing business online to protect payment data and customer details. You’ll have 20GB of storage space which should be plenty for a small online store and Wix won’t take any commission on your sales. Let’s take a look at what else the Basic Business plan has to offer, shall we? Accept bookings through your website with Wix’s dedicated app. Upload up to 5 hours of video. Google Analytics to keep track of your website visitors. Free domain name for the first year with an annual plan. Access to the Wix Support team. Even if you think you’ll need more features down the road, I recommend starting with this Basic plan as you can always upgrade your plan at any point. Recommended if you have an existing business and you’re familiar with selling online. Also, the next step for anyone who has exhausted the Basic plan. Wix states that the Unlimited plan is their most popular and it goes without saying (although I will anyway) that you’ll automatically have all the benefits of the Basic plan above. In addition, you’ll get 35GB of storage space, be able to add up to 10 hours of video to your site, and 20 email marketing campaigns each month. The Unlimited plan is perfect for your growing business. Recommended for large store owners and people who want it all! For me, the biggest benefit of this plan is the priority support. Your call or email support ticket will be pushed to the front of the queue should you need advice or run into issues which should help you sleep a little easier at night. Regardless of which Wix plan you choose, there are other costs involved in creating and maintaining a website. These costs may not be immediately apparent but something you’ll need to be aware of so you don’t end up with any nasty surprises at the checkout. By the way, this isn’t just Wix, the same also applies to all of their competitors. Your own domain name: With either an annual or 2-year subscription to any of the plans above (with the exception of the Connect Domain), Wix will throw in a custom domain name of your choice for the first year which is not something to be sniffed at! If you’d rather pay monthly, that’s fine but your own domain will cost around $15/year which you can purchase directly from Wix. *Sidenote: You don’t have to purchase your domain name from Wix. There are a ton of domain registrars out there and you can bring your domain over and connect it to your Wix site. However, using Wix does make for a smoother process as there additional things that’ll need to be done if you buy your domain elsewhere. Domain Privacy registration: When you register your own domain name, you’re details such as name, address, and contact details go into a large database which can be accessed by just about anyone. I don’t know about you, but I don’t like the idea of that. I personally pay for domain privacy registration so that my details aren’t made public. You also have this option with Wix and will set you back an additional $9.90 per year. 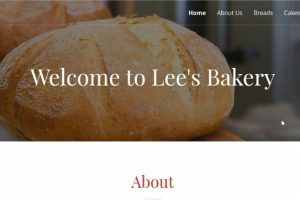 Personalized email address: If you’re running a business, you’ll likely want an email address that matches your website name such as contact@yourbusinesswebsite.com. Unfortunately, (and this is one of my gripes with not just Wix but many other providers out there), Wix doesn’t have an in-house email solution and instead you’ll have to use a service like Google’s GSuite which will cost you $5 per month per email address. 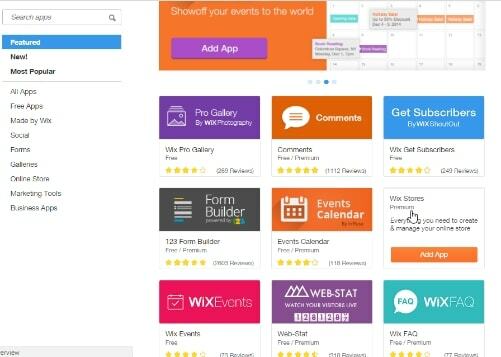 Add-on features: If you know anything about Wix, you may know they have an App Market bursting at the seams with features to add functionality to your website such as booking forms, pricing charts, and form builders etc. Many of them are Wix’s in-house apps and others were created by third-party developers. You’d be forgiven for thinking that they are all free but unfortunately, they aren’t. Many of the apps have a lighter free version or a free trial. You’ll then find an upgrade option for that particular app that’ll unlock more features and customization options. I sincerely hope that I’ve been able to clear the fog and help you find the perfect plan for your business or project. If you’re creating a personal website or you want to put Wix through its paces before spending any money, then the free plan is the best place to start. If you’ve already made up your mind that Wix is right for you and you don’t intend on selling products or accepting payments online, the Combo plan contains everything you need to hit the ground running. In fact, it could very well be all you ever need but you can easily upgrade at any point down the line to the Unlimited plan if you need more features or storage space. Setting up shop? The Business Basic plan is your best option. Again, you can always upgrade your plan as your business grows. Click Here To Choose Your Wix Plan! No problem Olivia, glad I could help! i am looking to setup a wig website. ( i will be doing it myself ) i need a to sell them online.. i want to connect to my bank, so the money goes in there… can i do this? if not what is my other options? Hi Brian, apologies for the late reply. Yes, Wix does allow you to accept payments from customers using debit or credit cards which will then be paid into your bank. You can also offer PayPal as a payment option if you wish. To have this ability, you’ll need to choose one of Wix’s Business & eCommerce plans. I hope that helps and I wish you all the best with your website! Looking to adda calendar so that parents can see when i have open drop in spot (in home daycare) what would be the best plan for me. I would also like SSO to boost my website locally. Hi! I’d recommend Wix’s Combo plan for your daycare (the cheapest “Connect Domain” account doesn’t really offer anything at all. When you’re logged into your account, you’ll be able to search for calendars and even booking forms that sync up to your Google calendar if you have one. You’ll find that they are either free or have a free plan available which may be all you need from what you said above. I have to be honest, I don’t really go in for the whole “Site Booster App” thing and I don’t recommend paying for them. I’ve dug out a couple of trustworthy free local marketing guides for you if you’re looking to gain more visibility in the search engines locally which you can find here and here. I hope that helps, if you have any more questions please don’t hesitate to ask. next post: Squarespace Pricing Review – How Much Will Your Website Really Cost?